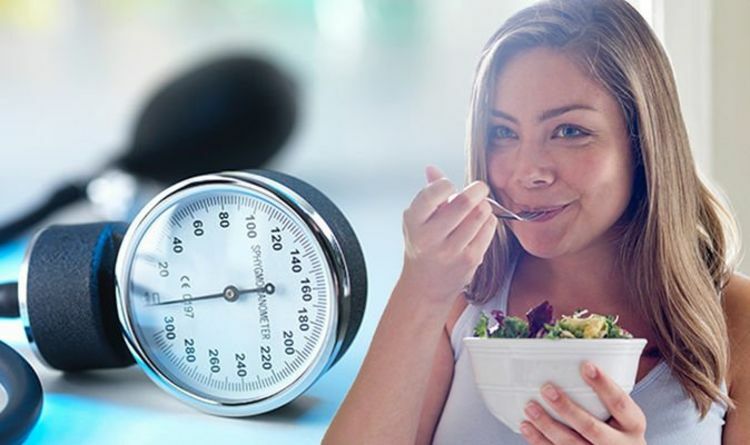 One of the most important ways to lower high blood pressure is to improve your diet. While this means cutting down on foods high in salt and fat, increasing your intake of potassium can also lower your reading. Bananas are a fruit hailed for their high potassium content, but one leafy, green vegetable actually contains over double the amount of the mineral than a banana. This vegetable is Swiss chard, sometimes known simply as chard. Swiss chard is similar to spinach, but with a stronger flavour. According to medical website Healthline, just one cup of cooked Swiss chard provides around a whopping 961mg of potassium. This is more than double the 422mg of potassium found in a medium-sized banana. Potassium can help to lower blood pressure because it works with the kidneys to balance the level of salt and water in the body. This is important because salt is a common contributor to high blood pressure. “This will help your kidneys to work more efficiently – and help to lower your blood pressure to a healthy level,” said Blood Pressure UK. On top of this, Swiss chard is also a great source of vitamins K and A.
Vitamin K is needed for blood clotting, which means it helps wounds heal properly. It may also help keep bones healthy. Vitamin A, meanwhile, helps the immune system to work properly and keeps skin and the dining of some parts of the body healthy. “Swiss chard is a nourishing dark green vegetable that contains over twice as much potassium per cooked cup than a banana,” said Healthline. Swiss chard can be bought in supermarkets. It can be boiled, steamed, stir-fried or roasted. In addition to adding it to salads, Swiss chard can be added to baked gratins, pies, stews and soups.